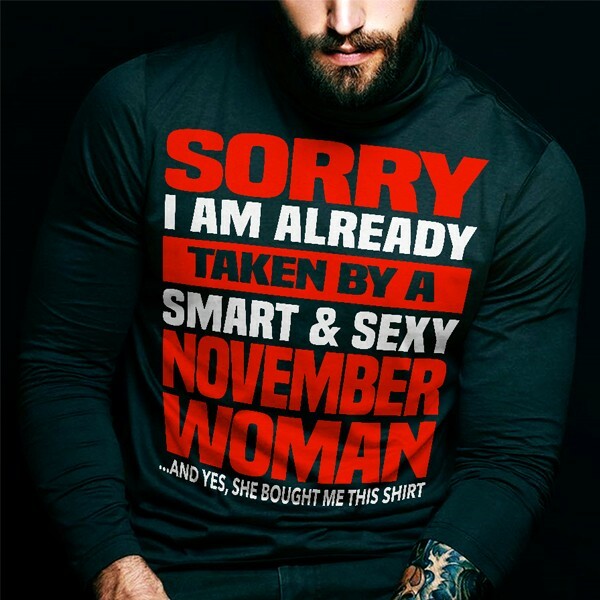 She Bought Me This Shirt. 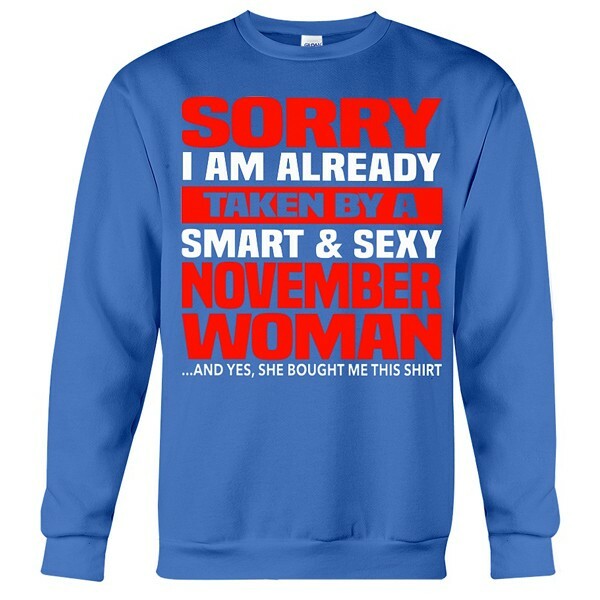 • Available in black, navy, royal blue and sports grey. • Available in men’s sizes XS-3XL. 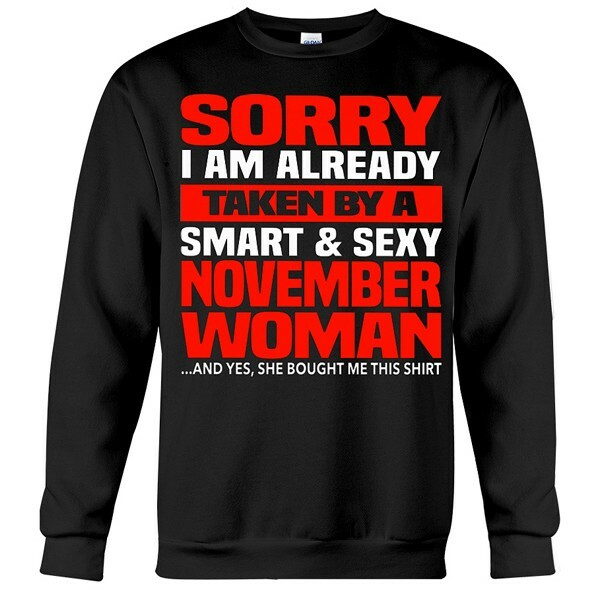 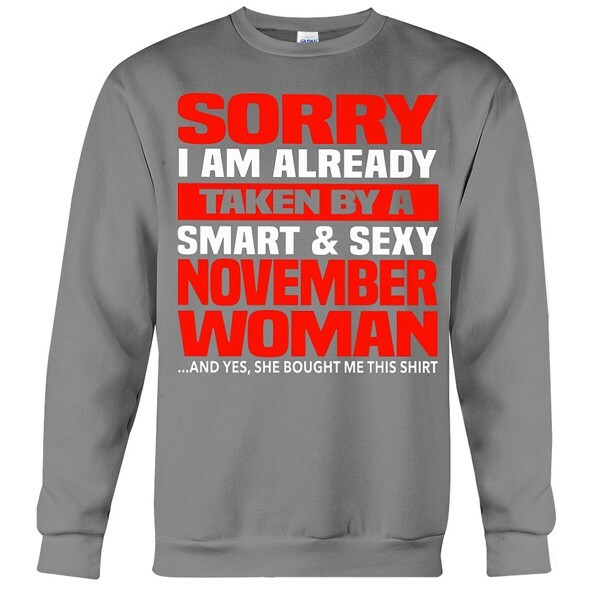 Question about I'm Already Taken By A November Woman Sweatshirt is Successfully Submitted.